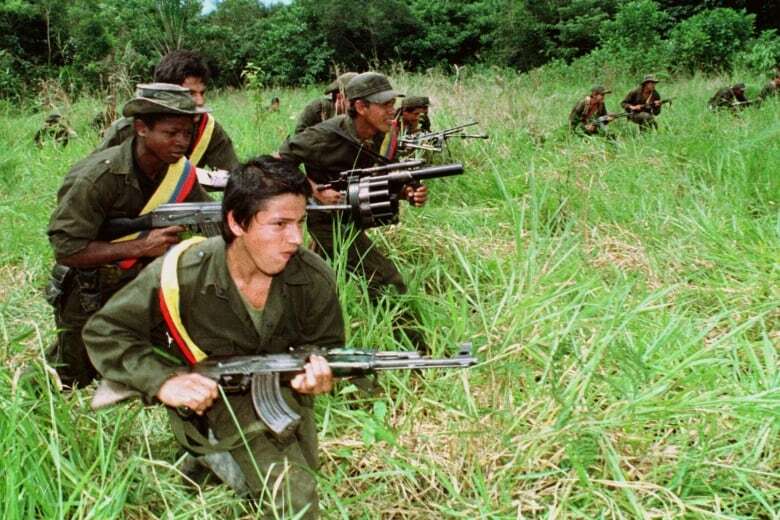 More than 260,000 people died from violence during six decades of guerrilla conflict in Colombia, researchers say in detailed findings released Thursday. Colombia's National Centre for Historical Memory published what is considered the most comprehensive accounting of deaths directly connected to the conflict, including murders, massacres and terrorist attacks. 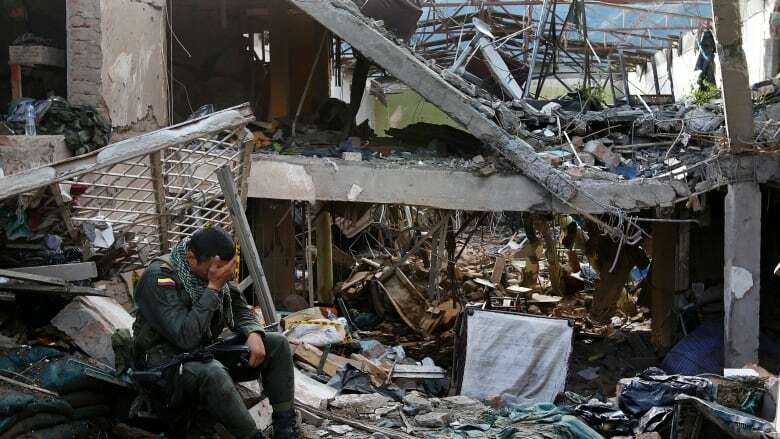 Defence Minister Luis Carlos Villegas called the figure "shocking," and said it underscores the importance of working toward peace with groups such as the Revolutionary Armed Forces of Colombia, the largest of the rebel armies, which signed a peace deal in 2016 and has demobilized. Researchers from the centre, created by law in 2011, drew on the help of hundreds of institutions and pored over 10,000 documents to make the findings, which refined previous estimates that deaths had exceeded a quarter of a million. The report also finds that most of the 80,000 people who disappeared have never been recovered. More than 37,000 of those killed were kidnapping victims, and nearly 15,700 were victims of sexual violence, the report finds. Colombia President Juan Manuel Santos won a Nobel Peace Prize for helping broker the peace deal with FARC, who were guaranteed 10 seats in the national congress until 2026 as they attempt to transition to an ongoing political party. But Santos left his final term with unfavourable poll numbers, reflecting the divisiveness of the pact among Colombians and the challenges that remain. Some FARC rebels who demobilized under the accord are struggling to reinsert themselves into civilian life in a nation where many people are hesitant to forgive. Vast swathes of remote territory remain under the control of violent drug mafias and residual rebel bands. Coca production has surged since the deal, as growers sought to take advantage of a government program that will reward farmers who divert to other crops. Santos heads into his final week as president next week, and recently admitted he will leave without being able to strike a similar armistice with National Liberation Army (ELN) militants. Conservative lawmaker Ivan Duque will succeed Santos. 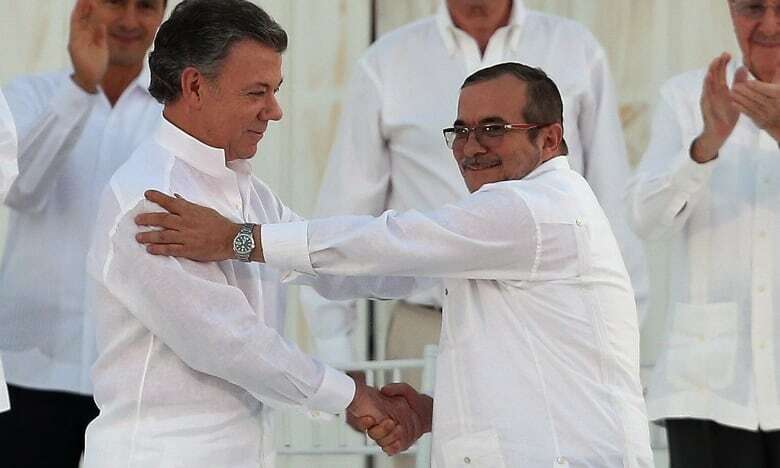 Duque promised on the campaign trail to revisit the deal's provisions for top FARC commanders, who were given amnesty from criminal prosecution.